Published on November 6, 2018 in General. 0 Comments Tags: Let's Make Games, PAX Aus. First Prize: Joshua L from Delaney. Second Prize: Jansen W from Somewhere South of Murdoch. Third Prize: Leah J from Castlemaine. Congratulations! Keep an eye on your inboxes as we will be in contact with you shortly to ensure you get your prizes. And once again, we appreciate you keeping an eye on the WA game developers for us while they were busy representing at PAX Aus. As part of the WA Games Passport draw, we also surveyed participants on their favourite title as a bit of extra fun. 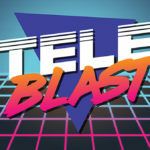 It was a fairly even field all up, but at the end of the day the most popular game was TeleBlast followed closely by The Dark Room! We would like to extend a massive thank you once more to all the studios involved, as they helped make this quest possible: Collateral Damage: Battle Over Tyzanite, Ghoul Britannia: Land of Hope and Gory, Little Bit Lost, TeleBlast & The Dark Room. We hope you enjoyed our little passport quest and remember you can join us at the 2018 Perth Games Festival later this month! 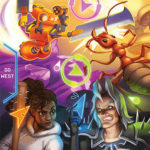 Explore WA Games at PAX Aus and Win! Published on October 24, 2018 in Events. 0 Comments Tags: events, PAX Aus. 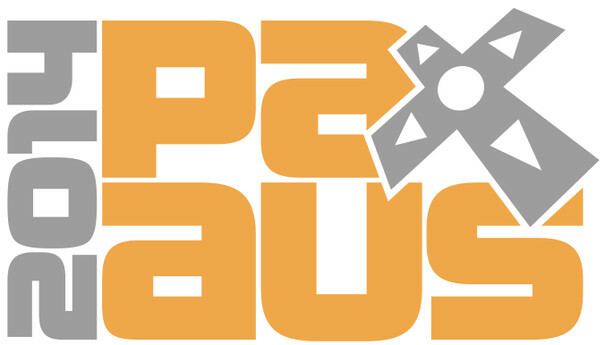 This week is Melbourne International Games Week and right at the very end is PAX Australia. In 2018 we have five great developers showcasing their games at PAX Aus as part of PAX Rising. Together they decided that doing something neat was the order of the day; So we present to you the WA Games Passport! The idea is simple, visit any of the booths listed below to pick up your WA Games Passport and start your journey. Each developers will also have one of five secret letter; Find all these WA developers, write each letter down, and it forms a secret URL you can enter here on letsmakegames.org to enter the draw to win one of three EB Games vouchers (valued at $100, $30 and $20 respectively). To start, just visit one of the five WA Games booths and ask for a passport! Oh and one final thing, massive thanks to these developers for coming to the table AND to Lisa Rye for doing the brilliant cover art for this project! Explosive and fast-paced multiplayer game where you have to teleport and blast to win! Created by Tim Veletta at this years Perth Global Game Jam, Tim has smoothed off the rough edges, built out the game and it’s now about to hit EA on steam! 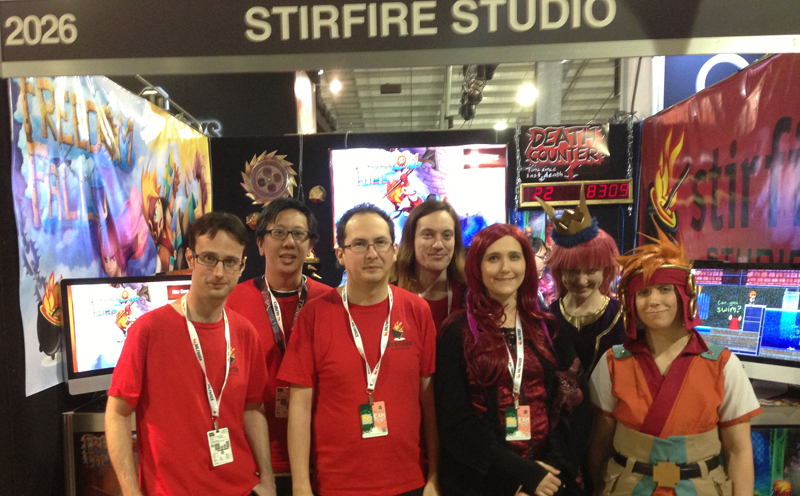 Oh and it’s part of this year’s PAX Australian Indie Showcase, so they’ve done a great job! 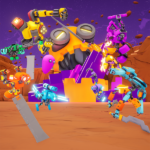 Fight against your friends as one of many unique robots, brawling to secure the last resources of their crumbling planet. After having been built over the past year and a bit, the team has recently launched a Kickstarter campaign to finish the game which you can also check out here. The UK has caused the worst to happen, the dead now roam the earth. Help Hope and her zomBFF, Dave, get out safely. Saxon Druce and the Binary Space team have been working for over a year on this unique point-and-click adventure game. This project has been a joy to watch and you’ll be able to check it out in more detail this weekend! Being small in size means you’re in for a big adventure! 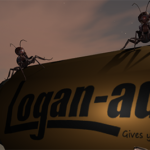 You awake to find yourself smaller than an ant, can you fight to survive? 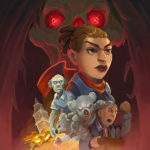 Grae has been working on Little Bit Lost for a while but this year formed a team with other Perth devs. It’s early days but this survival game is shaping up well and it’s already on itch.io! YOU AWAKE TO FIND YOURSELF IN A DARK ROOM! The abusive retro-styled comedy puzzler! Drink in the horror of 1980’s gaming! 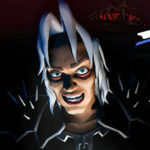 Gather what’s left of your wit, outsmart and survive the horrors that the dark room has set out for you. From the twisted comedic genius of John Robertson. Also the team will be there with a Pinny-Arcade pin of The Dark Room too! 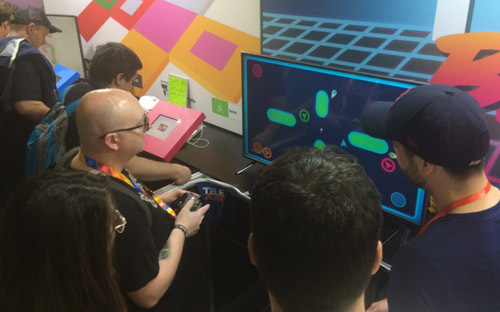 In summary, check out these five great games at PAX Rising and there will be plenty of others to play along the way. We can’t wait to see you there! Disclaimer: In the interest of transparency, please note that the author of this article is associated with one of the games listed in this initiative. The Let's Make Games archives for the pax-aus tag.